about what is happening in their own organisation. “Don’t discuss anything in front of the servants” might be something you would have expected to hear at the Bellona Club in the 1920s or 30s from members of the British upper classes of the time. 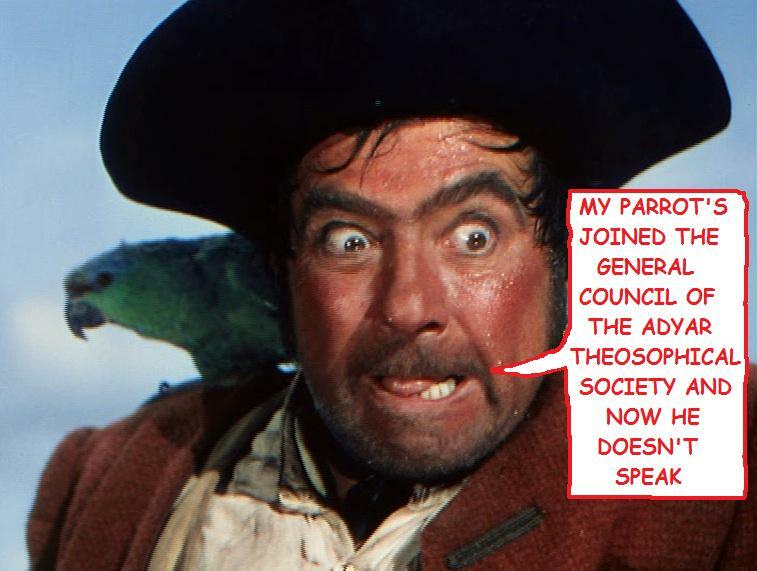 Rather than being a curio from the past, this is just the attitude the Adyar Theosophical Society elite are currently demonstrating towards the Society’s paying members. 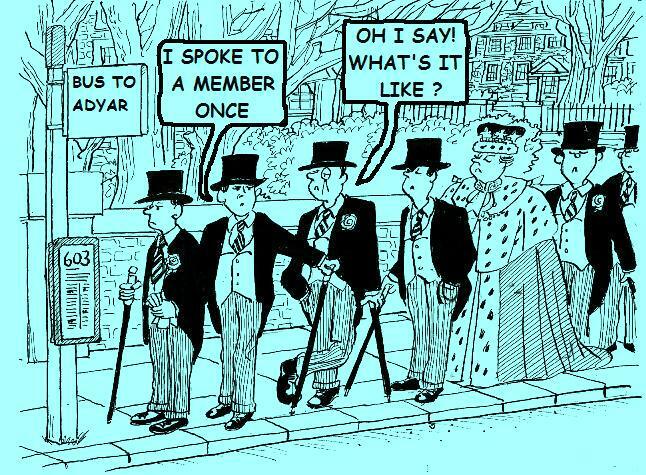 The determination of the Adyar Theosophical Society ruling elite to exclude the general membership from the running of their own organisation clearly indicates that the Society is beyond reform as a centralised body. The Society is run by those dedicated to maintaining an aristocracy over peasant relationship with the members, to preserve their right play at sitting at the top of the social pyramid. It is an attitude that effectively makes the members invisible to management. They don’t see you and they don’t hear you. In the first half of the twentieth century, the conventions of the time meant that people of the social status of Annie Besant and George Arundale could rely on a level of deference when conducting Theosophical Society affairs, although they were never above criticism. It is incredible that anyone should expect the passivity of the Annie Besant era in the twenty first century. 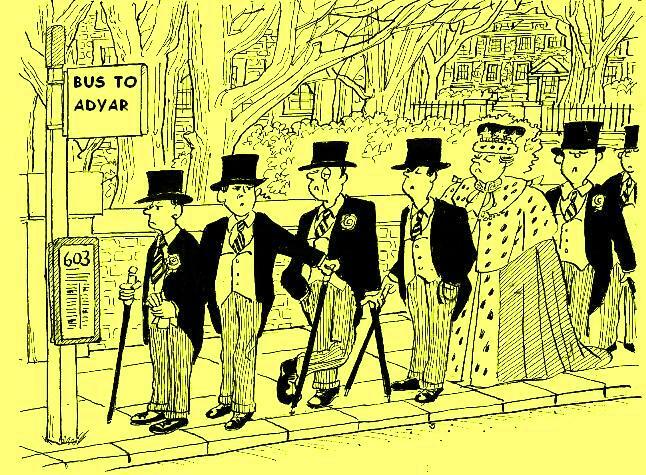 The porter of Porterhouse and the footman who say’s Sir and means it are long dead figures from a social order now consigned to comedy and period drama, but which lives on in the mindset of the Adyar Theosophical Society elite. The use of the term “BALLAST” to describe members represents may be common currency amongst the Adyar Theosophical Society elite and the Society cannot survive if it continues to support, and be run by, a cult of superiority. A new organisational model for Theosophy beckons if the encumbrance of the current self serving hierarchical system can be dispensed with. Abolition of the post of International President and the General Council would in itself give Theosophy back to the Society members. The controllers of the Adyar headquarters will be able to make a case for support from the members, as they should always have done. For the General Council, Adyar has a sacred significance and is a symbol of its right to rule. For this reason, the discontinuation of support for Adyar by the members, is not currently for discussion. Abolition of the hierarchy would clear away any ranking of national sections such as the statuses of Regional Association or Presidential Agency. Each would be able to adopt the best title and constitution for its own needs rather than one prescribed by Adyar. Several sections like Bolivia, Japan and Pakistan currently have no vote at either regional or international level so the transition from central authority to network of Theosophical groups would make little practical difference in many cases. In place of any obligation to a central authority, each section could elect an official to liaise with other Theosophical sections. This would be a purely administrative role which would not form part of a decision making committee. With only 20 countries officially represented at the 2013 Adyar Convention, it is clear that this is another transition that would not be too great. The new International Liaison Officers would be contactable by all members and could send out newsletters directly to members in their own section and around the world, covering anything of interest. News Board and Youtube briefings would make news available to all who have access to the internet. Members would be exponentially better informed than under the current system and local groups could communicate news of their own through the network. International events could still be held and organised by this new network without the need for a central authority. Speakers could still tour but this has become the expensive option compared to distribution of talks via Youtube. New ideas for promoting the Theosophical teachings could be freely relayed around the world by members that feel ownership of their own organisation, as part of a greater network of independent groups with no controlling body. These are only very brief ideas for consideration but I’m sure that many can already feel the energy of liberation just by reading them.